And all signs point to efforts by industry and the FDA to float either voluntary, or watered-down mandatory GMO labeling laws that would take away states’ rights to impose strict GMO labeling laws, and also exempt a large percentage of GMO ingredients from labeling. This strategy would involve the FDA allowing foods made from highly processed GE ingredients, such as cooking oils, high fructose corn syrup and sugar beets, that contain no easily detectable GE proteins down to a specified level to be labeled “natural”; and certified organic foods to be labeled as “GMO-free.” Under this strategy, labels would be required on only those foods that contain readily detectable GMO proteins, as determined by standardized tests. 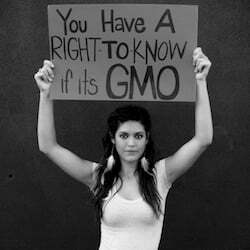 In other words a large percentage of GMO-tainted foods would still not have to be labeled.